These bloody weapons cut-out decorations look like the real thing. Great accent for your Bloody Butcher or Mad Lab Halloween scene. 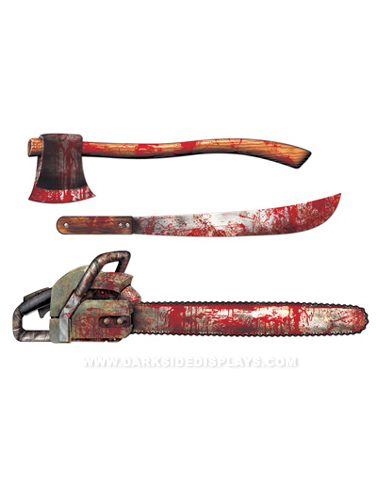 You get one each of a bloody chainsaw, a bloody knife, and a bloody axe. Bloody Weapons Cut-Out decorations are printed on both sides and measure 25"L - 31"L.